Due to the effect of the micronized 24-carat gold, this ritual manages to nourish, fortify, regenerate, and sublimate your hair and scalp through four key sequences: Harmonization, Relaxation, Detoxification and Intensive Hair Rejuvenation. 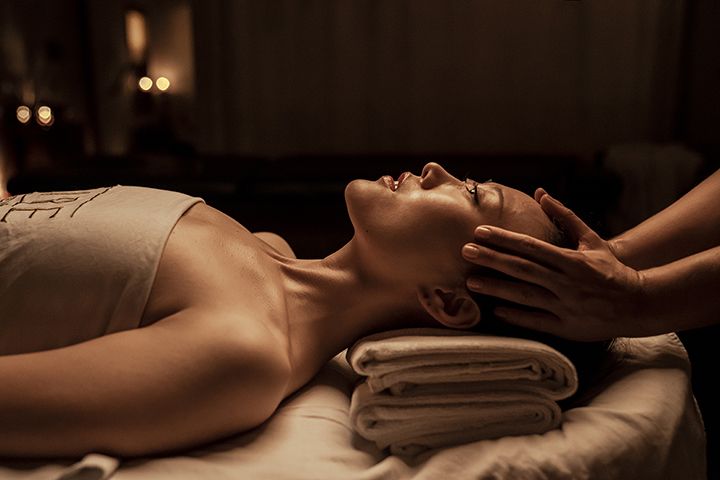 During the body massage, techniques and maneuvers for manual massage, digipoint therapy, and drainage are used with the aim of toning the muscles, activating the production of collagen, helping to eliminate liquids and toxins, removing tension, and promoting a deep rest. During the thermal tour, pay attention to your body so that you know when you should change to a different temperature bath. Remember that you can access the relaxation room at all times, where, to keep you hydrated, you'll always have cold water and our special selection of AIRE Tea at your disposal. If you feel at any point during your massage that the pressure is too intense or too light, please tell your therapist.